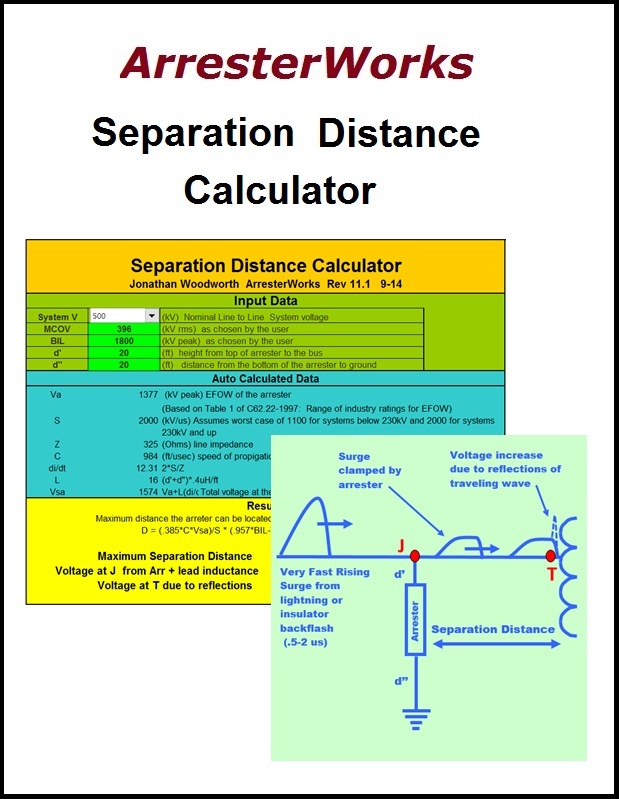 Excel file that graphically shows the effect of lead length on a distribution arrester. 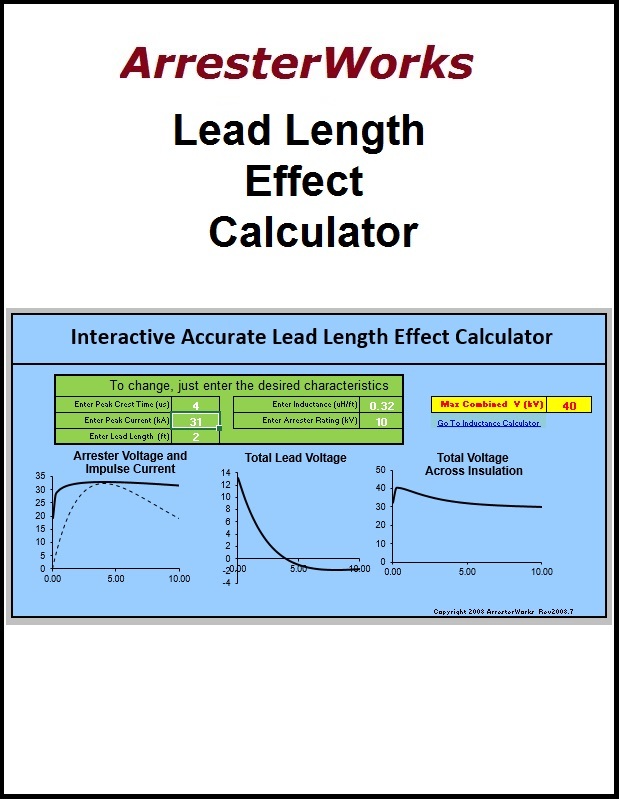 Inputs include lead length, wave shape and lead inductance. 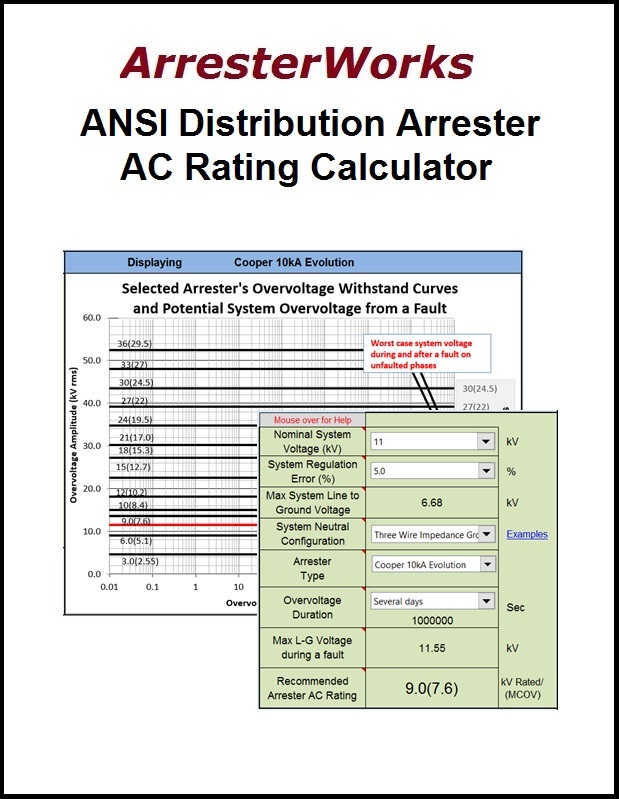 This Interactive tool assists the user in selecting the correct MCOV for distribution arresters installed on IEEE systems. This excel download will calculate the maximum seperation distance maintaining a 15% margin of protection. This excel download demonstrates the current conduction though an MOV. 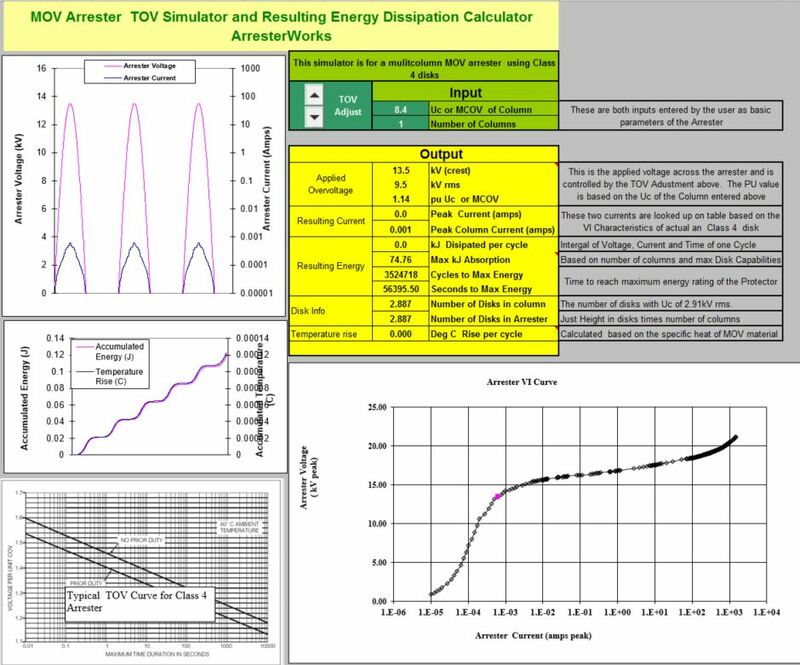 This excel download demonstrates the temperature rise and energy dissipation during a TOV event. 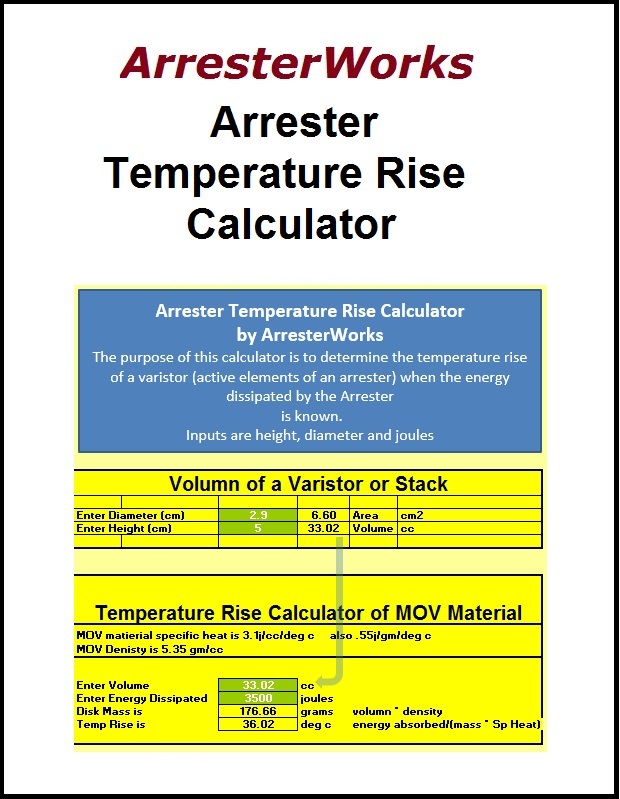 This excel download will calculate the expected temperature rise of an arrester given the joule input. 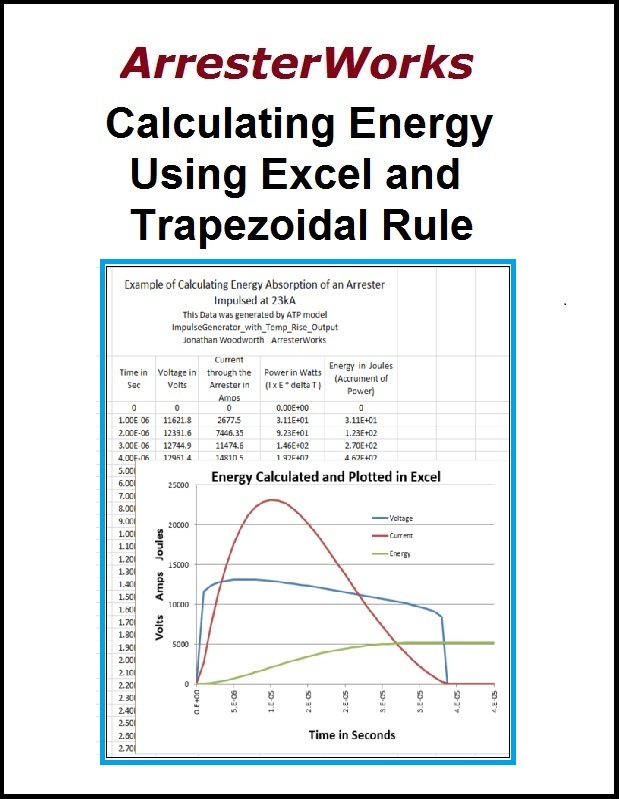 This calculator is an example of how to determine the joule content of an impulse using the Trapezoidal rule of intergration. 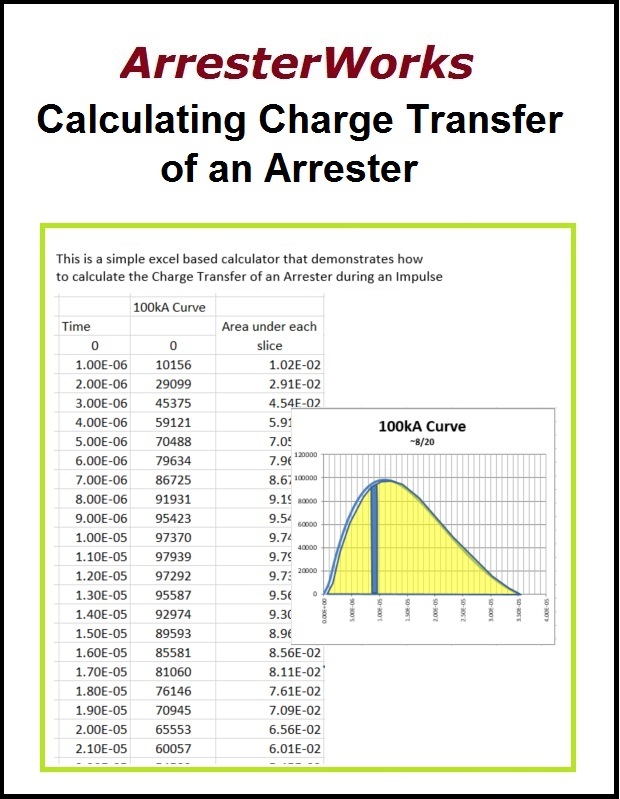 This is a simple excel based calculator that demonstrates how to calculate the Charge Transfer of an Arrester during an Impulse. 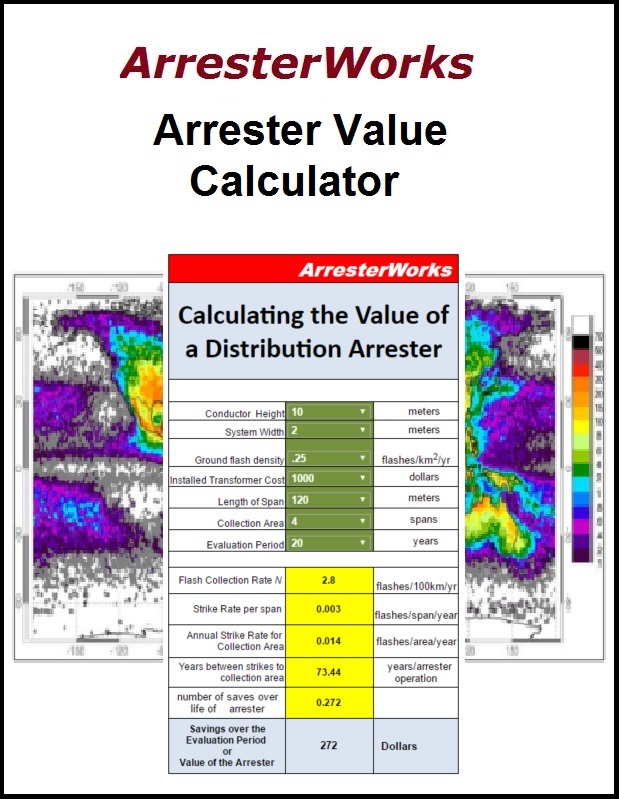 To determine the real value of an arrester we cannot simply look at its cost, but rather we must look at the effect on a system in its absence. 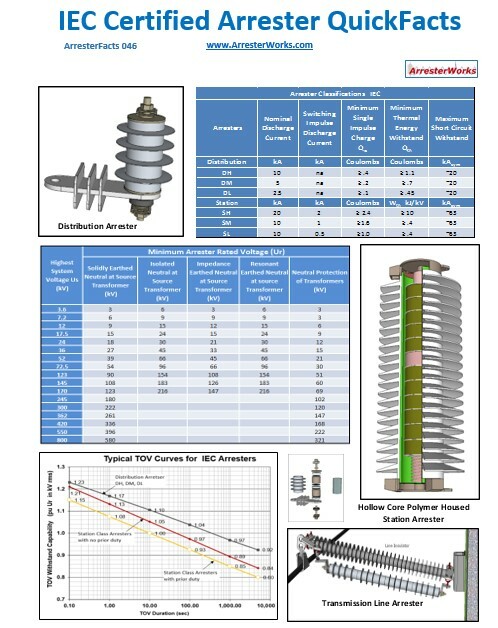 Reference sheet with a quick and compact overview of arrester characteristics base on IEEE standards. 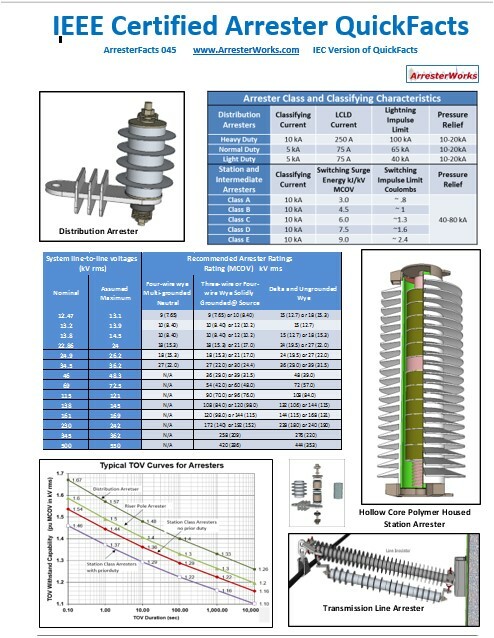 Reference sheet with a quick and compact overview of arrester characteristics base on IEC standards. 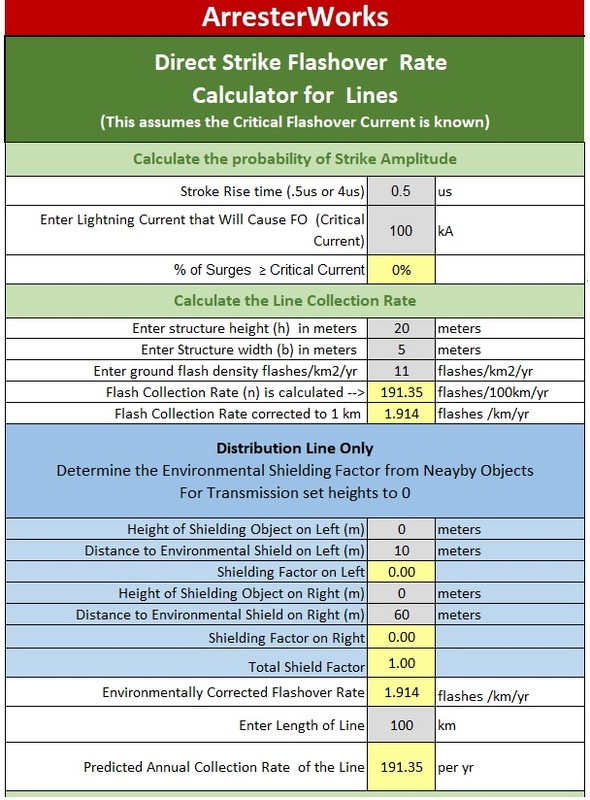 This calculator determines the Outage Rate of a Line once the critical current of the line is known. Critical current in this case is the lightning current that causes any insulator on the line to flashover. This calculator is based on formulae in IEEE 1410-2010.